We believe that boys are capable of much more than is assumed possible for their age. That they are eager for real-world accomplishments and opportunities to grow. We inspire them by providing a challenging but achievable goal: membership in a world-class boys’ choir. 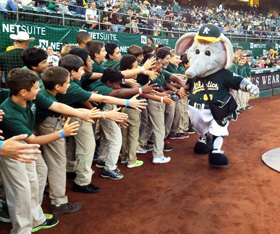 PBA boys learn that extraordinary accomplishment teaches lifelong lessons. Hard work leads to mastery. Personal responsibility and teamwork go hand in hand. The challenge of improvement leads to the joy of success. 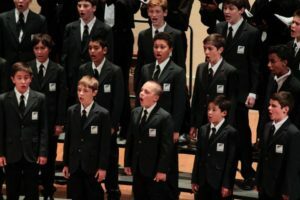 Pacific Boychoir Academy seeks boys of all ethnic, economic, and geographic backgrounds. We are not affiliated with any church, ethnic group, or specific geographic area. Members of the Pacific Boychoir participate in a very old tradition. Boychoirs have been around for hundreds of years, dating back at least to the fourth century. Early modern boychoirs were trained to sing with the collegiate and cathedral choirs of Europe. 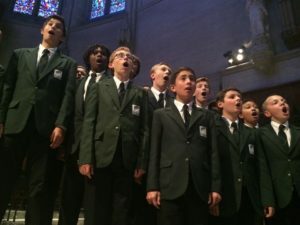 Today, most American boychoirs are not affiliated with churches, though much of the great music written for boys came out of this tradition. PBA has appeared frequently with the San Francisco Symphony (SFS), performing under the direction of Michael Tilson Thomas, Kurt Masur, Robert Spano, David Robertson, James Conlon, Charles Dutoit, Herbert Blomstedt, Donato Cabrera, Don Davis, and Vance George. Along with the San Francisco Girls Chorus, PBA recorded Mahler’s Third Symphony with the SFS, which was awarded the GRAMMY for Best Classical Album in February 2004. In January 2010, the SFS recording of Mahler’s Eighth Symphony, featuring the SF Symphony Chorus, the San Francisco Girls Chorus, and PBA was awarded GRAMMYs for Best Choral Performance and Best Classical Album. PBA has also performed with esteemed artists such as Kronos Quartet, Omaha Symphony, Oakland-East Bay Symphony, Simon Bolivar Symphony Orchestra, American Bach Soloists, San Francisco Opera, Youth Orchestra of the Americas, National Symphony Orchestra of Brazil, Moscow Chamber Orchestra, Magik Magik Orchestra, Marcus Shelby Jazz Orchestra, Lithuanian State Orchestra, Ian Bostridge, Tom Krell Midtown Social, John Vanderslice, University of Michigan and Harvard Men’s Glee Clubs, Yale Whiffenpoofs, Vienna Boys Choir, Drakensberg Boys Choir, and the choirs and orchestras of University of California, both at Berkeley and Davis. A regular touring schedule has taken PBA throughout the USA and to countries on six continents, included appearances at Davies Symphony Hall, Dorothy Chandler Pavilion, War Memorial Opera House, Jackson Hall at Mondavi Center, the San Francisco Conservatory of Music, the Shanghai Oriental Arts Center, Zellerbach Hall, Yoshi’s Oakland, St. Peter’s Basilica, the Grahamstown Arts Festival in South Africa, Basilica San Marco, Sala Saõ Paulo, the Forbidden City Concert Hall in Beijing, Teatro Municipal in Rio de Janeiro, Dvorak Hall in Prague, Teatro Independencia in Mendoza, Notre Dame Cathedral, Chartres Cathedral, the International House of Music in Moscow, Linder Auditorium in Johannesburg, on Public Radio International, Danish National Radio, at community events such as the Bay Bridge Opening and the Oakland Athletics playoffs, and also several self-produced concerts annually. PBA has also performed on television in simultaneous civic memorial services for Nelson Mandela, both at San Francisco City Hall and at the National Cathedral with Vice President Joe Biden, and has sung on NBC’s America’s Got Talent and The Blacklist, has sung as the voice of the Yahoo yodel and with comedian Zach Galifianakis. As part of its outreach efforts, PBA also performs for several Bay Area schools each year and serves as San Francisco Opera ARIA teaching artists. 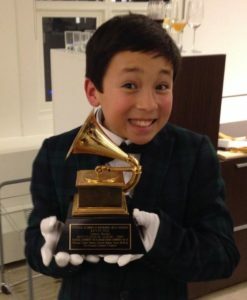 Pacific Boychoir has developed a reputation for presenting challenging works such as Mozart’s Requiem entirely with male voices, and Rachmaninoff’s All-Night Vigil performed for the first time in America with boy sopranos and altos. In addition to recordings of Mahler’s Symphonies No. 3 and 8 with SFS, the choir’s own recordings feature Bach’s Cantata 150, Britten’s Ceremony of Carols, two of Bach’s “Lutheran” Masses, and two recordings of American spirituals, "That Promised Land" and "Show Me the Way."